← Living in Ice and Trees: Interesting, But How Can it Work Year-Round? In my first blog that I posted more than six and a half years ago, I described my early Holocaust experiences and their connection to my interest in climate change. I was born in Warsaw, Poland three months before the German invasion. We were liberated by units of the American army less than two months before my sixth birthday. After our liberation, I went with my mother to Israel (it was British-controlled Palestine at the time). One of my cousins who is a few years older had similar experiences in the Holocaust (September 13, 2016). After liberation, his family also emigrated to Israel. After a few years, they moved to Australia. While he was in the Israeli army, he learned to be a draftsman. After he arrived in Australia, he got married, produced a wonderful family, and started to use his army-acquired skills to become a very successful builder. We chat regularly and sometimes travel together (the September 13, 2016 blog describes our joint trip to Malta; the August 1, 2017 describes our joint trip to Thailand). Naturally, in addition to talking about what’s currently happening, we also discuss the past and the future. Our experiences from the Holocaust come up occasionally, as does my preoccupation with climate change—usually in the context of what is going on in Australia. The northern hemisphere usually only takes note of Australian summers during the Australian Open that takes place in Melbourne in January (it’s winter in much of the northern hemisphere, but it’s scorching summer in much of Australia). The last few summers in Australia have been exceptionally rough. I described the bush fires there (January 14, 2013 and October 3, 2017) twice. It is becoming more and more obvious that attempts to mitigate climate change are no longer just an effort to make the lives of our children and grandchildren better—we are seeing climate change directly impact our own lives. The current US government’s attitude is well known. 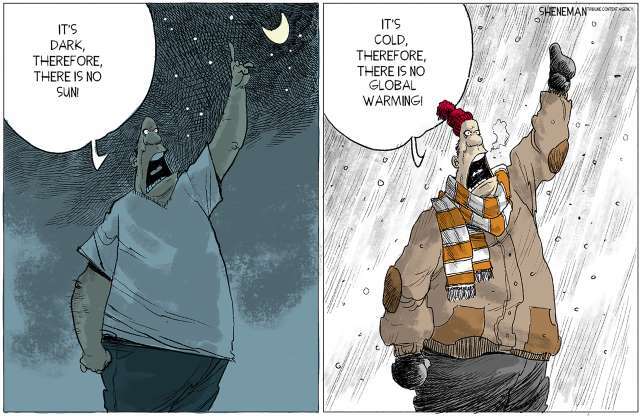 Every time that we have a cold spell like the recent polar vortex, our president prays for some global warming; he uses the brutal winter to refute climate change (don’t be surprised if these attitudes sound a bit contradictory). The comic at the top by Drew Sheneman sums up the attitude especially well. The Australian government’s approach is a bit harder to pin down because of the much higher frequency at which it changes hands. I remember an early visit to Australia when the issue of a carbon tax was on the agenda. At the time, many of my Australian friends were of the opinion that given the the country’s relatively small population (only 25 million people) they should be left alone, unregulated. But the impact on Australia is getting worse every year. 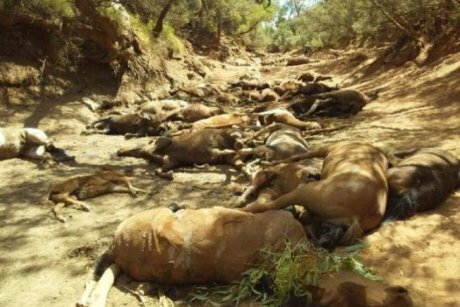 The photo below shows a devastating photograph published a few days ago. Independent organizations including NOAA, NASA, the UK’s Met Office, and the World Meteorological Organization all just published detailed analyses of the most recent (2018) global impacts of climate change. All of them provided quantitative proof that 2018 was one of the four hottest years in the more than 130 years since we started tracing this indicator. 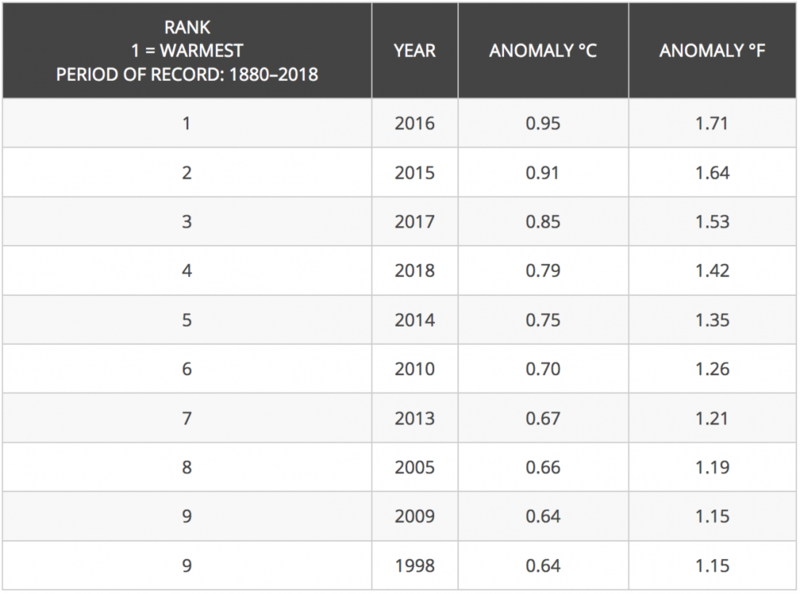 Table 1 lists NOAA’s results of the 10 hottest years and their anomalies relative to the 1880-2018 average. With all of that, it is not surprising that my cousin and his family often follow my blogs. However, during our last chat, he admitted to me that he doesn’t read all of them. The essence of his complaint was as follows: when the blog deals with the Holocaust or with familiar European or Australian issues that he is familiar with, he is fine; when I deal with scientific issues, he hits a wall that discourages him from reading future blogs until I nudge him. His comment hit a sensitive point with me that convinced me to write this blog and ask for your collective help. The main reason that I write this blog is to translate the science related to climate change into more accessible terms. I want to encourage people to mitigate the consequences of climate change on themselves, their children, and their grandchildren. Specifically, I am calling for both individual and collective actions, including participation in voting wherever it applies. Throughout the almost seven years that I have been running this blog, I have gotten hundreds of comments. Almost all of these either agree or disagree with what I have written. I don’t remember getting a single comment that was focused on better understanding what was written, that would allow me to respond and improve my writing. I promise you I will directly answer every comment that does so. I want you to get what I’m saying. Please help by letting me know if there are points upon which you need me to elaborate. Thanks! This entry was posted in administration, Anthropocene, Climate Change, Extreme Weather, Holocaust, Sustainability and tagged Adaptation, anomaly, Anthropocene, Anthropogenic, Australia, blog, brumby, Climate Change, Climate Change Denial, Climate Change Deniers, Climate Skeptics, cold, comic, consequence, denial, Donald Trump, effect, Environment, Family, feral, Future, Global Warming, heat, heat death, Heat Stroke, Holocaust, horse, Israel, Meteorology, Mitigation, NASA, NOAA, Polar Vortex, politics, Present, question, regulation, Science, survivor, Trump, understand, understanding, US, visit, vote, Weather, wild horse, winter, WMO. Bookmark the permalink.